Join us for our Annual Holiday party, celebrating the birthday of Swift of Ipswitch & Appreciation for our Volunteers! Ports O’Call. Plenty of free parking. 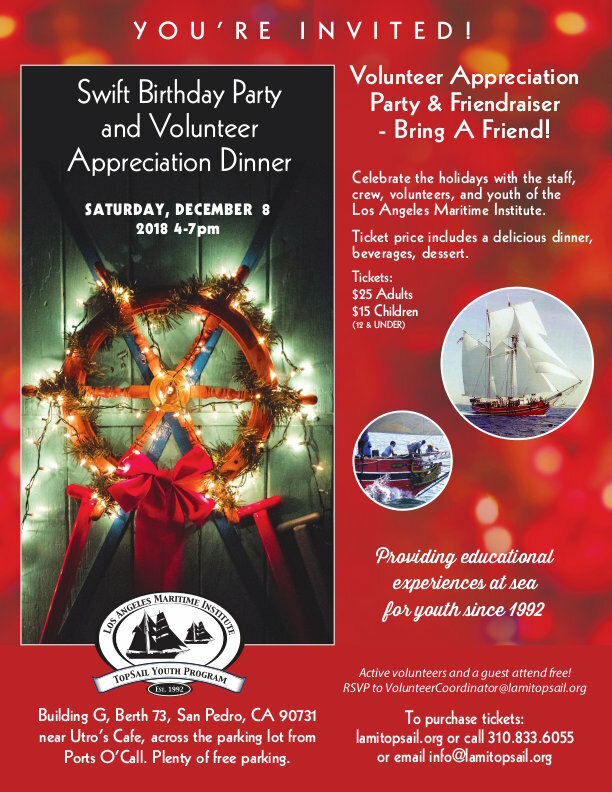 Celebrate the holidays with the staff, crew, volunteers, and youth of the Los Angeles Maritime Institute. Ticket price includes a delicious dinner, beverages, and dessert. Active volunteers and a guest attend free! Please RSVP to volunteercoordinator@lamitopsail.org.